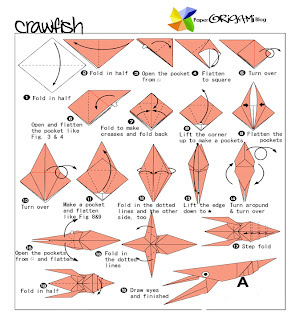 Craw fish Origami Crayfish, crawfish, or crawdads – members of the superfamilies Astacoidea and Parastacoidea – are freshwater crustaceans resembling small lobsters, to which they are related. They breathe through feather-like gills and are found in bodies of water that do not freeze to the bottom; they are also mostly found in brooks and streams where there is fresh water running, and which have shelter against predators. Most crayfish cannot tolerate polluted water, although some species such as the invasive Procambarus clarkii are more hardy. Crayfish feed on living and dead animals and plants. 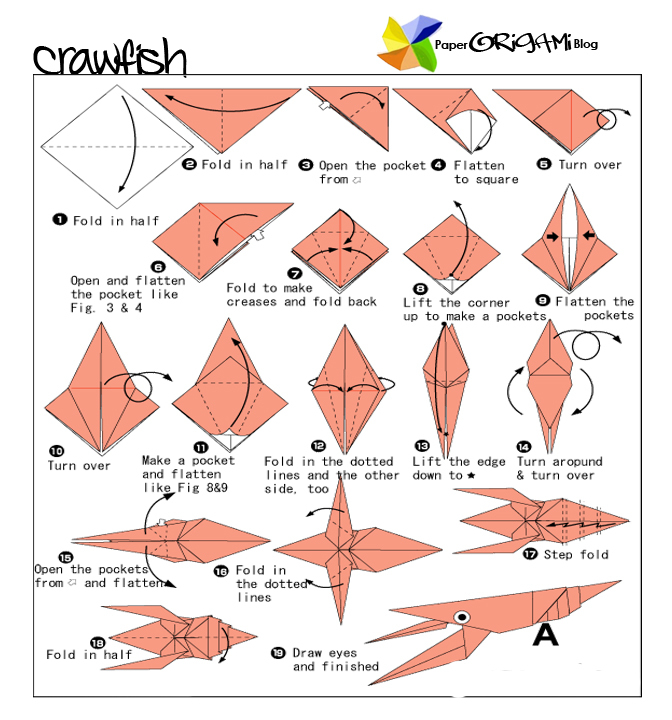 In Australia, New Zealand and South Africa, the term crayfish or cray generally refers to a saltwater spiny lobster, of the genus Jasus that is indigenous to much of southern Oceania, while the freshwater species are usually called yabby or koura, from the indigenous Australian and Māori names for the animal respectively, or by other names specific to each species. An exception is the freshwater Murray crayfish, which belongs to the family Parastacidae and is found on Australia's Murray River.